Early sport specialization has become a hotly debated topic in many sports circles. The youth sports scene has changed dramatically over the past two decades, and while a lot of improvements have been made, some changes have not been good for children. A recent study from the University of Wisconsin School of Medicine and Public Health, which included over 1,500 high school athletes, found that athletes who specialized in one sport were twice as likely to report a lower extremity injury as compared to those who played multiple sports. It was also found that 60% of athletes that specialized in one sport sustained a new lower extremity injury1. This study got a lot of publicity because early sport specialization has been a hot topic as of late. Most of the arguments against early sport specialization are from rehab professionals, surgeons, and well-informed strength and sport coaches. The frustration of these professionals is the lack of understanding and push-back from parents that desperately want their kid to succeed at an early age. Instead of just relying on anecdotal cases and opinions, it’s nice to have more legitimate studies that can be brought to the parent’s attention as evidence. Youth programs started out as an avenue to allow kids to play a sport in an organized environment. This helped kids develop self-esteem, peer socialization, work ethic, and general levels of fitness. It also allowed kids to sample a variety of sports and potentially start developing a passion for some of them. It also allowed time for them to recognize the sport they are best at. These were the days when a sports season lasted somewhere around 4 months before the next season came around and the focus would shift. But in the last decade, youth sports have morphed into highly competitive leagues, and year-round early sport specialization is the trend. If Some is Good Than More Must Be Better, Right? Unfortunately this is first instinct for a lot of parents and even coaches. At first glance, it seems to make sense, right? If you want to get better, you have to practice and play the game. Seems all well and good, until you take a second look and realize how damaging that idea can actually be. I think everyone can agree that playing a sport puts an immense amount of strain on the human body. As parents and coaches, we forget about this because young kids are so resilient and bounce back so quickly. That is until the day they don’t bounce back, and a nagging overuse injury starts forcing them out of competition and practice. Kids are going through growth spurts, bone and body structure is still developing, and they are still developing strength and coordination. All of these are risk factors for developing overuse and repetitive strain injuries. Imagine you have a piece of plastic such as a credit card. You fold it once, still good. Fold it back the opposite way, still intact. Keep moving it back and forth repeatedly and eventually it snaps. 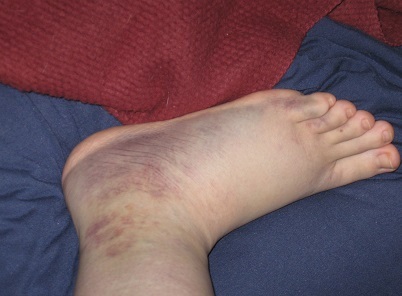 An injury is the fastest way to decrease athleticism. Especially when you consider that at such a young age rapid improvements are made in speed, coordination, and athleticism. Missing out on 6 weeks of play due to an injury, means missing out on a very important 6 weeks of development. Why is Playing Multiple Sports So Beneficial? 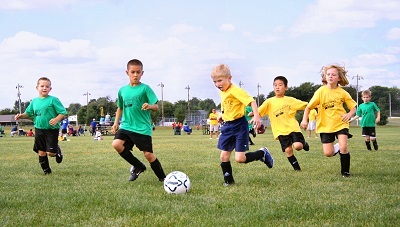 We already mentioned that sports can help develop self-esteem, socialization, and work ethic. Physically it will improve strength, coordination, power, and adaptability. 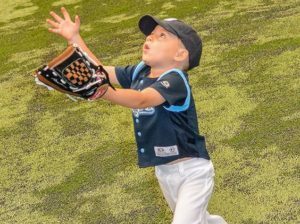 As previously mentioned, playing one sport year around (early sport specialization) at such a young age exposes kids to overuse and repetitive injuries at a high rate. When kids play multiple sports over the course of multiple season it varies the type of stress on the body. Football, basketball, and baseball all have very different demands in sport. As such the strain and wear pattern on the body is different. It’s the same reason you rotate the tires on your car. Change the wear pattern and you increase the likelihood of staying healthy. How Can Playing Multiple Sports Increase a Kid’s Athleticism? A study in the Journal of Sport Sciences found that physical fitness and gross motor movements were improved in boys aged 6-12 when they played multiple sports versus just one sport2. Similarly, according to a study in The American Medical Society for Sports Medicine, 88% of college athletes participated in more than one sport as a child3. Playing multiple sports exposes the athlete to different kinds of skills, movement patterns, coordination, and dynamic power development. It’s been found that kids who play multiple sports have a larger athletic base of skill to draw from. This means that they have the ability to pick up and learn skills, techniques, tricks, etc much faster than their one sport counterpart. The problem with early sport specialization and playing just one sport is we immediately switch from a youth development model to an elite athlete development model. While it sounds cool, this is a major problem as the physical needs of youth athletes are totally different than elite athletes. Even high level athletes (Collegiate Division I) have different needs than elite athletes (Pro/Olympic caliber). To put this in perspective, it’s similar to teaching calculus to a student before they can even do basic addition. The knowledge base is completely different, and as a result your, conversations will change drastically. Elite and high level athletes have already developed foundation levels of strength and coordination. Their bodies have matured enough to withstand a prolonged season and repetitive strain. With that being said, most elite and high level athletes still find time to recover throughout the year in some way shape or form because they know the negative effects over-training and overuse have on the body. Most professionals integrate a variety of movements and exercises into their training routines to help create a more balanced body. Furthermore, they understand that their body will only have a limited window of sustainability when performing at a high level and at such a high frequency. It’s why athletes retire. Playing at a high level day in and day out is just not sustainable forever, and especially not at a young age. This is why early sports specialization should be delayed as long as possible. In most scenarios this won’t be until college or at the very earliest high school. Some of this may differ depending on sport. For example gymnasts peek at a very young age, however most field and court sport athlete peak much later, generally in mid to late 20’s (sometimes later). So, while some sports require early sport specialization just to be competitive (i.e. 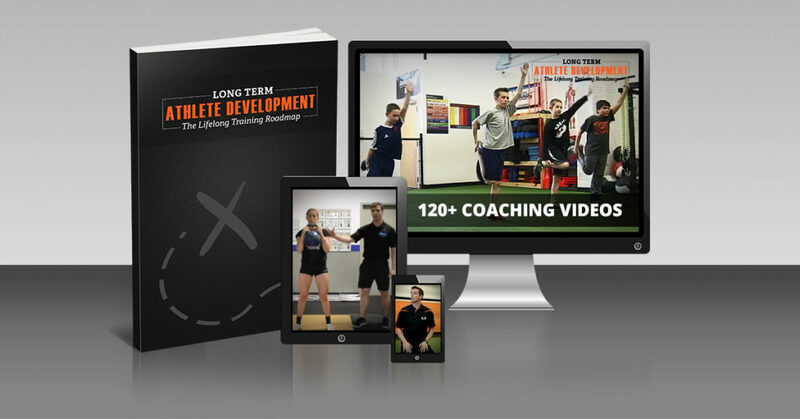 gymnastics), most actually benefit from more of a long-term athlete development model. Kids just want to have fun. 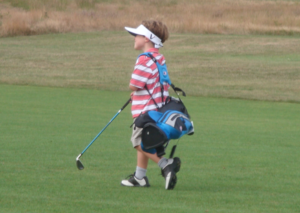 Interestingly enough, when a kid is having fun they simultaneously want to get better and win. When the emphasis is placed on year around competition in a highly competitive environment, the fun and joy of the game is lost. Things have gotten so organized that kid’s don’t even know how to free-play anymore. We don’t have scientific evidence to back this up, but anecdotal evidence points toward far fewer pick-up games occurring on neighborhood courts/fields than there were just 20 years ago. Today, kids often wait for adults to schedule organized practices where they’re told what to do. Passion for the game starts because the game is fun. We hear stories about elite athletes all the time who retire because they have “lost the love of the game” or was “burned out.” If this is happening to mature athletes, what are the odds it’s happening to your kids when you treat them the same? 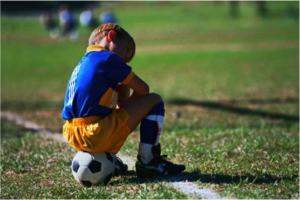 What If My Child Only Likes Playing One Sport? I would first answer that question with some follow up questions. Does your kid truly only want to play one sport? Or is it you, the parent that thinks they only want to play one sport? Have you asked them and truly given them options? Sometimes it means giving something up or making inconvenient arrangements, so it’s not always easy for parents. If they only enjoy or have interest in playing one sport, then there is certainly no reason they have to play multiple sports. Forcing a kid to do something that’s “good for them” certainly isn’t the answer. The point being made earlier is that year-round early sport specialization at a young age can have very negative side effects with little benefit. 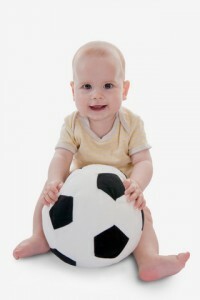 So, if you enjoy playing more than one sport, by all means play a variety of sports at a young age. However, if a kid only enjoys one sport, or during their Junior or Senior year the child chooses to specialize (not the parent), it’s perfectly OK to focus on one thing. Just understand that even elite and high level athletes do not compete and play their sport year-round. If a mature pro doesn’t play year around, there is no reason a developing child should. High level competition imposes high levels of demand on the body that is not sustainable year-round, so it’s important to add some variety through training or other activities. How Does Lifting Weights & Training Contribute To This? Obviously lifting weights and other training programs will impose stress on the human body. However, the purpose of an intelligently designed training program is to impose a demand on the body so that it adapts favorably. The goals, volume, and intensity of a training program will vary depending on the sport, age of the athlete, training age, time of year, and needs of the athlete. The goal of a quality training program at a young age should really focus on filling in the gaps of foundational movement and basic levels of strength that only playing sports may miss. Enjoying the various seasons and sports will accomplish much of this at a very young age. When a training program is implemented correctly, it will first address poor movement patterns and the ability to absorb force to make the body more adaptable to stress. It will also start to build foundation levels of strength, balance and coordination to make the body more resilient and resistant to overuse injuries. When these foundations are established it creates higher athletic development potential and an environment for the athlete to succeed when they eventually decide to specialize later in their athletic career. Early sport specialization is an issue for young athletes, but adults hold the key to assisting in their long term athletic development. We have the ability to put children in a position to succeed, and it is our responsibility to look out for the best interest of young athletes. Simply bringing awareness to the issue will benefit many children and develop better, happier athletes. Dr. Greg Schaible is a physical therapist and strength coach specializing in athletic performance. He attended The University of Findlay as a Student Athlete. As an athlete he competed in both Indoor and Outdoor Track & Field where he earned honors as a 5x Division II All-American and a 6x Division II Academic All-American. In 2013 he completed Graduate School earning his Doctorate of Physical Therapy (DPT). 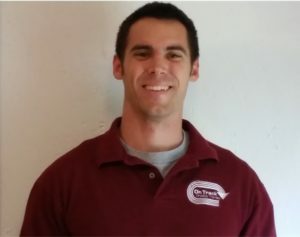 Greg is the owner of On Track Physical Therapy and Content Manager for Sports Rehab Expert. In addition to his rehabilitation services, Greg has a passion for sport specific youth athlete training and battling early sport specialization. Fransen, J., Pion, J., Vandendriessche, J., Vandorpe, B., Vaeyens, R., Lenoir, M., & Philippaerts, RM. (2012). Differences in physical fitness and gross motor coordination in boys aged 6‐12 years specializing in one versus sampling more than one sport. Journal of Sport Sciences, 30, 379‐386. 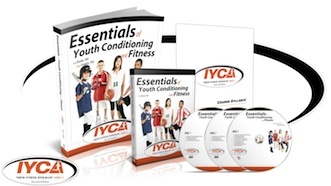 The IYCA Long-Term Athlete Development Roadmap is the perfect resource to more fully understand the needs of athletes at different ages. For more information, click on the image below.